You don’t wait to start taking care of your overall health, so why would you wait to start paying attention to your oral health? Babies are susceptible to tooth decay too, which is why it’s so important for kids to see the dentist early on. It’s important to show babies love and affection, and some parents do this by kissing on the mouth. This is potentially hazardous because adults have different types of bacteria in the mouth that their babies don’t. Once this bacteria is introduced, the child becomes more vulnerable to tooth decay and, in essence, can “catch” caries. This can also occur when parents share utensils with their babies. You can always ask your dentist for a caries test to measure the concentration of bacteria in your mouth. 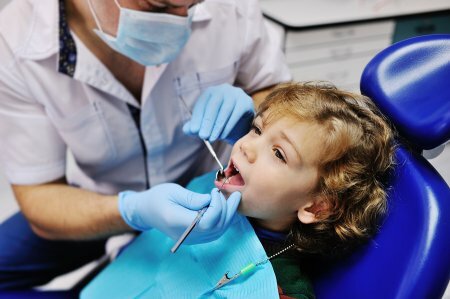 Make sure your babies don’t catch caries by taking them to a dentist in Hazlet at a young age. Glenwood Premier Dental handles root canals, implant dentistry, and gingivitis, and our team is happy to help you and your family stay healthy. Call our offices at (732) 264-4477 to set up an appointment today. When you avoid the dentist , you miss out on the chance to deal with problems before they develop. A dental fistula is just one example of a more serious problem that can occur when you don’t take care of a small issue. Watch this video to learn what a dental fistula is. A fistula appears when your body reacts to inflammation, and it connects the inside or surface of the body to an organ or source of inflammation. As a result, a pus canal will develop. This small elevation on the gums can rupture, but it will continue to refill with pus. Sometimes this can lead to scarring, so see your dentist if you think you might have a fistula. A dentist serving Hazlet can help you with your dental fistula, so call Glenwood Premier Dental at (732) 264-4477. Contact us if you’re in need of teeth whitening, oral cancer screenings, or restorative care. Your teeth aren’t the only part of your oral health that you need to worry about. If you don’t brush, floss, and see your dentist, you could increase your risk for gum disease. Consider adjusting your dental hygiene routine and read ahead to get to know your gums. 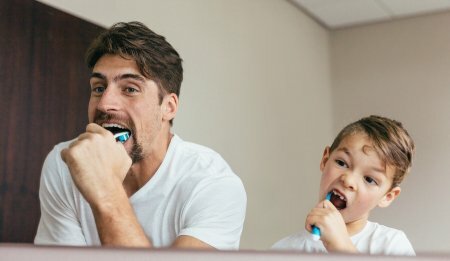 Everybody knows that it’s important to brush your teeth, but there’s more to your oral health than just the crowns that make up your smile. A healthy, regular dental hygiene routine also protects your gums and prevents issues such as gingivitis and periodontal disease. Brushing your teeth removes plaque from the enamel, so it doesn’t have a chance to build up. If you don’t brush, this plaque can continuously build and work its way under your gum line. Flossing also removes food particles, bacteria, and plaque buildup from between the teeth, which further protects your gums. If you don’t brush and floss, you won’t be able to tackle plaque buildup. This is a problem because plaque can turn into tartar or calculus, which can contribute to gum disease. It’s also a problem because you’ll need your dentist to remove tartar for you. When plaque or tartar builds up and moves under the gum line, the gums can become agitated. They may turn red, bleed when you brush your teeth, and become visibly inflamed. These are all common signs of early gum disease. Although it’s reversible, early gum disease can turn into an irreversible form of periodontitis if you don’t act quickly. Not everyone knows the signs of gum disease, but if something feels off, it’s important to see the dentist for a checkup. Timely visits to the dentist’s office can save your gum health and protect you from periodontal health conditions. This improves your overall well-being and can also reduce your risk for certain serious health problems like cancer and diabetes. Now that you know your gums, you know how important it is to take care of them. Call Glenwood Premier Dental at (732) 264-4477 and talk to a periodontist in Hazlet to avoid gingivitis and enjoy excellent gum health. Can Wintry Weather Affect Your Oral Health? There are quite a few changes you should make when the weather shifts, and some of them concern your oral health. The cold weather can hurt your teeth and your restorations, so be sure to see your dentist for a checkup. Keep reading to see how wintry weather could affect your oral health. As strong as your tooth enamel is, it can also be sensitive to temperature or pressure. That’s why it might be uncomfortable to breathe through your mouth on a cold winter day. There are pores in your teeth, and these pores can be infiltrated by the cold air. However, you shouldn’t have a problem most of the time. If your teeth are particularly sensitive, irritated, or uncomfortable when you go out into the cold weather, you might consider setting up an appointment to see your dentist. Keep in mind that you might feel the hot cocoa you have to warm yourself up in your teeth as well. Cold weather can bring out problems with your old restorations, and it can also cause them. Old fillings that don’t fit and worn-out crowns can cause your teeth to be more sensitive to temperature. On the other hand, the regular expanding and contracting of your teeth due to the temperature can also cause these problems. Do your best to care for your restorations, and see your dentist if you run into any issues. Protecting your teeth and oral health from the cold doesn’t have to be challenging. 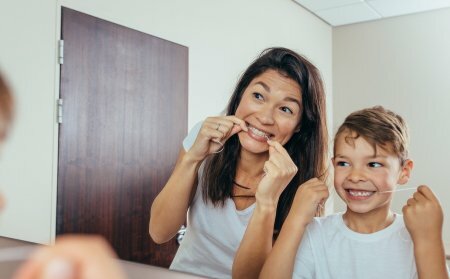 If you stick to a dental hygiene routine, it can actually be easy. Floss your teeth each day and brush twice a day to strengthen your enamel and resist cracks and wear. See your dentist for regular checkups so you know how you’re doing and what you should look for. Keep your teeth protected all year long by calling Glenwood Premier Dental at (732) 264-4477 and setting up an appointment. We are a team of dentists serving Hazlet that specialize in veneers, teeth whitening, and root canal treatment, and you can visit our website for more information.